What exactly are loafers as a shoe style? Loafers are shoes that do not utilize a lacing or fastening system and are instead simply slipped on the foot. For this reason, they are also sometimes referred to as slip-ons. Usually, they have a low heel or no heel. They are a style for men, women, and children and can be casual or dress shoes. 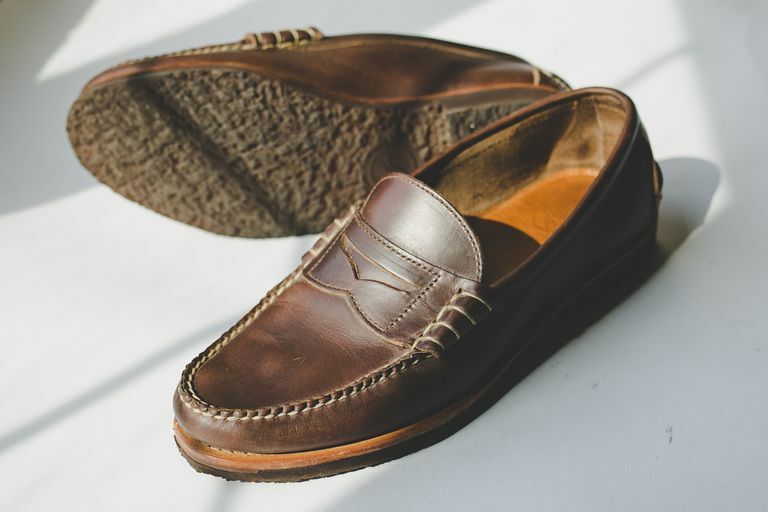 The construction of loafers was based on the moccasins worn by Native Americans, although today's loafer styles vary greatly, with some styles being very dressy and bearing little resemblance to the original form. Moccasins generally have a lace across the top, but never have a heel, and do not have a separate sole. A Norwegian shoemaker used it as an inspiration for the Aurland moccasin. American companies in the 1930's started calling them loafers, with G.H. Bass adding a strip of leather across the top with the diamond-shaped cutout typical of penny loafers and calling them Weejuns. The Wildsmith Loafer was made by Wildsmith Shoes of London for King George VI as a country house shoe. The design was mimicked by others and sold as the Harrow. Gucci took it up a notch and added a metal strap to the top in the 1960s. They became acceptable as dress businesswear. Penny Loafers: This style has a leather strap across the forefoot with a diamond-shaped slot big enough to hold a penny. They've been a popular men's shoe since the 1950s. Tassel or Kiltie Loafers: This slip-on style was developed by the Alden Shoe Company and then popularized by Brooks Brothers. It has a decorative lace with tassels on the top. Gucci Loafers: Gucci introduced a loafer with a brass strap and produced them in black, making them suitable for businesswear. Gucci loafers for women also became very popular. Moc Loafers: These have overcast stitching that is similar to traditional moccasins. Apron Loafers: An apron-shaped piece of leather and a lacing is seen over the forefoot. Dressier slip-on shoes with little or no detailing are also sometimes referred to as loafers. Loafers usually are not overly fitted in the heel, making them easier to get on and off, perhaps with the aid of a shoe horn. Loafers don't require lacing or tying, which is a big advantage for people who lack flexibility or dexterity to tie their shoes, such as seniors. 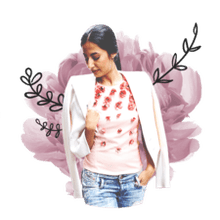 Women's Loafers: Women can wear loafers with skinny jeans, cropped jeans and more. Wearing Men's Loafers for Dressy Occasions: Loafers are not formal shoes, but they look fantastic with a coat and tie. You can add a little flair your next time out with a pair of tasseled loafers to match your slacks. They give you a little more style with a blazer and slacks and are great when you want a different look and aren't going formal. They're also a nice bridge into nicer men's dress shoes. Wearing Men's Loafers at the Office: If your office doesn't require a suit, you can wear men's loafers with khakis and cords. This should definitely be a look you have in your closet because it works for almost any situation. Wearing Jeans with Men's Loafers: Sportcoats look great with jeans and loafers, and a nice dress shirt also does. Both of these work perfectly with tasseled, and non-tasseled loafers as a casual shoe choice.